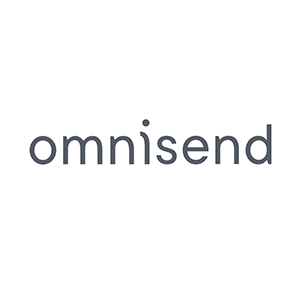 Omnisend is a marketing and email automation platform designed for e-commerce businesses and marketers. Its features include email templates, A/B testing, landing pages, cart abandonment tools, website tracking, automatic product recommendations, and more. In this article, we cover user reviews and pricing. Ready to try Omnisend? Get a free trial. Users who gave Omnisend a positive review said that it has a user-friendly interface. Some of them also commended its reliable email automation features which helped increase their sales and conversions. One user who gave Omnisend a positive review on G2 Crowd said that it is the easiest email marketing tool among all the ones she has tried before. According to her, it’s also time-efficient as it enables her to pull-out photos directly from Shopify which she can quickly add to her email newsletters. Users who gave Omnisend a negative review complained about its lack of Facebook Ads integration which they consider as a vital marketing tool. Others also wished for more pre-built templates so it would be easier to create unique subscription forms and sign up boxes. One user who gave Omnisend a negative review on Capterra said that the software should enable automatic Facebook signups to simplify the log-in process. He also mentioned the need to add landing pages directly to his Shopify website. According to him, the software should expand its integrations to include Facebook Ads and that there isn’t a mobile app available which could be useful for remote access. Omnisend has one free option and two paid plans: Standard (starts at $10/month) and Pro (starts at $199/month). Pricing varies depending on the number of monthly subscribers. The main difference between the plans is access to advanced features such as automation workflows and advanced segmentation. Ready to try Omnisend? Get a free trial. 6 Best Email Marketing Software for 2018 — Email marketing software is used to create and send targeted email campaigns to your customers. 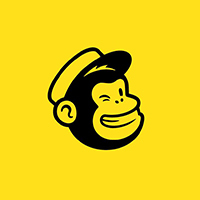 In this guide, we compared Mailchimp, Constant Contact, Drip, ConvertKit, Active Campaign, and HubSpot, in terms of price, list and segmentation capabilities, analytics, app integration, and more. How does Omnisend help users save time in creating monthly email newsletters? Omnisend uses a Product Picker feature which enables users to choose and click on the products they want to use. The software then automatically imports the product details such as prices, titles, images, etc. into the newsletters. How does Omnisend help bring back inactive customers? Omnisend allows users to send one or a sequence of customer reactivation emails which offer the value that they want and need. It also allows businesses to customize these emails according to their brand’s identity so they can create a lasting impression on their customers. Not sure if Omnisend is the right fit for you? Read our reviews of all top email marketing sofware or check out one of these three Omnisend competitors.